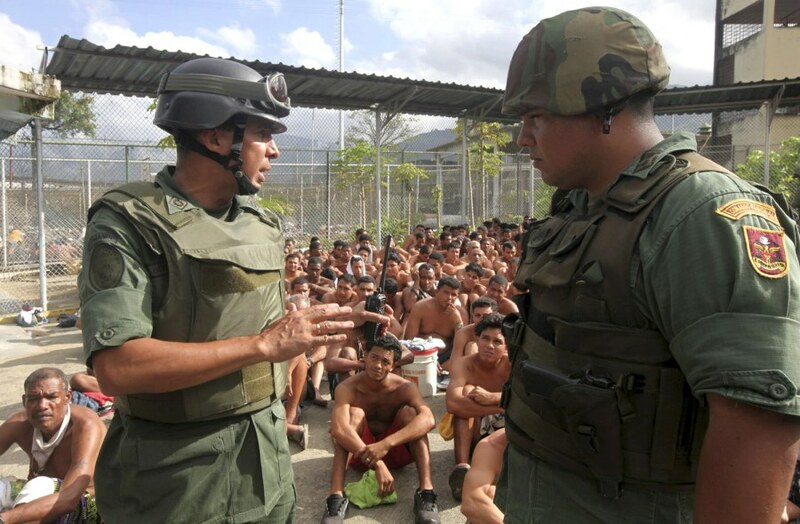 National guard General Antonio Benavidez (left) talks next to inmates sitting in the prison of 'El Rodeo' while the national guards take control in Guatire, outside Caracas, Venezuela on June 17. 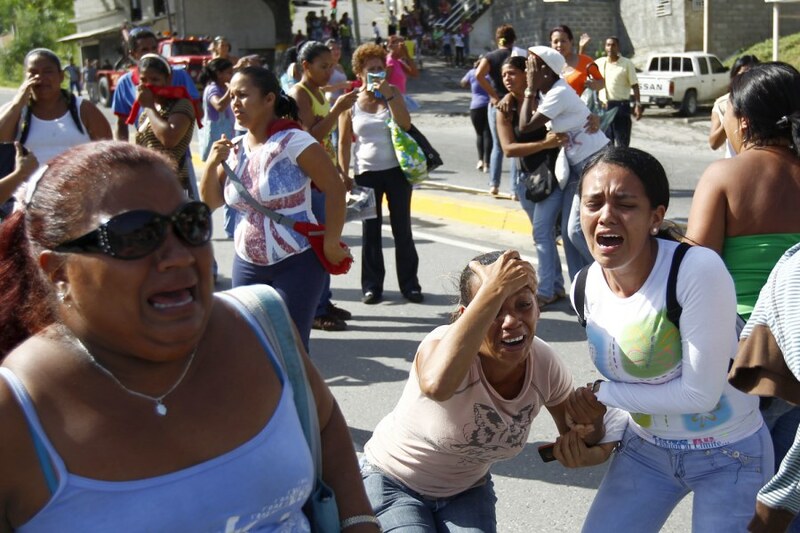 The death toll has reached 22 in the latest riot by armed prisoners in Venezuela's violent and overcrowded jails, the government said on Thursday. President Hugo Chavez's government announced this week a new Prisons Ministry to try to control chaos inside jails where inmates traffic drugs, carry guns and mastermind crime outside of jail via telephones. Relatives of inmates from the prison of 'El Rodeo' react as they listen to gun shots at the prison in Venevuela on June 17. 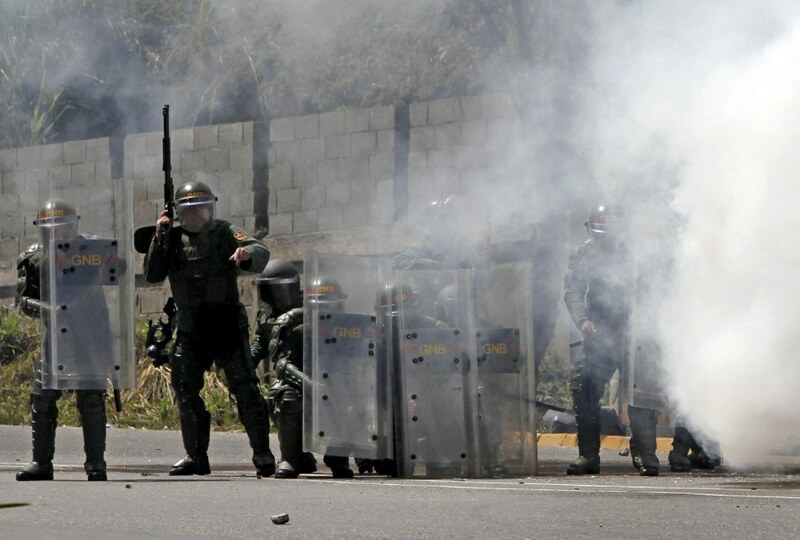 Anti-riot National Guards shoot teargas against relatives of inmates of the El Rodeo prison during a riot inside the prison in Guatire, Venezuela on June 17. The riot was triggered when the military were inspecting the prison looking for weapons, according to Nestor Reverol, Vice Minister of Public Security. 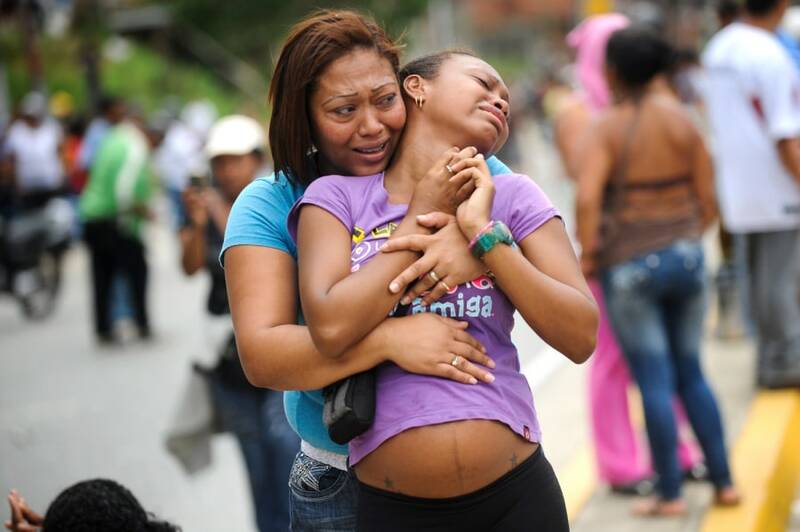 Relatives of inmates of El Rodeo cry outside the prisons. Read more about the Venezuela prison here.